A string of romantic conventions underpins Clare Clark’s new novel. There’s a rhapsodic but impossible love affair between two of its attractive young characters; the disappointed quest for passion and thrills experienced by a clever, beautiful, ‘golden’ upper-class girl; and the undying, gilded memories of clever, assured Theo Melville, one of the brightest and the best, mown down in the carnage of World War I. Theo was the eldest son of the family that has owned and inhabited Ellinghurst, a gothic pile in Hampshire, that lies at the heart of the story. And Ellinghurst itself, with its crenellated walls and tall, tilting folly, has its own romantic role to play. We That Are Left begins in familiar territory and, despite the quality of its prose, never shakes off a sense of predictability or Downtown-esque familiarity. The Melvilles’ tenure of Ellinghurst is shaky, the estate’s future after the Great War endangered by financial problems, an absence of male heirs and a murky line of inheritance. Eleanor, the matriarch of the house, spends her time consulting mediums, trying to contact her beloved Theo in the spirit world. The two remaining children, Phyllis – a nurse during the war – and prettier, more reckless and more spoilt Jessica, must make their life choices in an England stripped of eligible males as well, of course, as servants. And then there’s family acquaintance Oscar, a brilliant boy of German heritage, whose love of science, Ellinghurst and the girls usefully links and modernizes the book’s themes of knowledge, belonging and change. 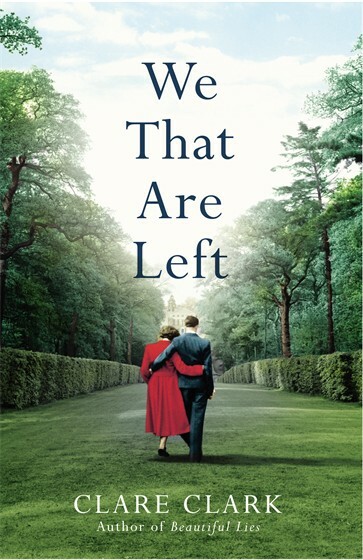 Clark flits between lovingly nostalgic descriptions of the English countryside and more kneejerk representations of pre-war life or hectic 1920s high society. As the years pass and losses and disappointments are absorbed, her central characters evolve. Phyllis develops a passion for archaeology and spends time in Egypt, assisting with the tricky excavation of Tutankhamen’s tomb. (‘Poor Mr Carter.’) Oscar yo-yos between the girls. Jessica tries her hand at journalism but isn’t cut out for it. Feminist themes are touched upon. The first woman MP is elected. But Clark’s milieu isn’t the gloomily authentic urban scenario of Sarah Waters’ The Paying Guests. Instead, this is a big house tale of a superior and sometimes literary kind. Note that surname: Melville. White whales are part of the story, and so in fact are albatrosses. Burdens are accepted, obsessions laid to rest. And the reader emerges eventually satisfied and entertained if not necessarily transported to a place never before visited. 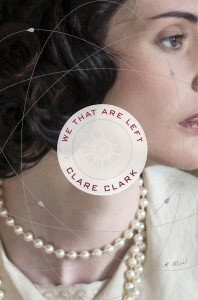 Clark is a bright, talented historical novelist whose earlier work, like Beautiful Lies and The Great Stink, has offered fresher, more original excursions down less well trodden paths. Although she can handle this early twentieth-century material with conviction and skill, her new book registers less memorably than what has gone before.